The practice of using topical atropine to prevent the progression of myopia in children has been going on for decades in some Asian populations. The encouraging results obtained from Atropine for the treatment of childhood myopia (ATOM) studies and animal studies have created much interest among the practitioners regarding the use of atropine in preventing myopic progression. This review aims to summarize the major research works done on the subject and its implications in clinical practice. Blepharoptosis, or ptosis of the eyelid, refers to drooping of the upper eyelid that usually results from a congenital or acquired abnormality of the muscles that elevate the eyelid. Ptosis may be the presenting sign or symptom of a serious neurologic disease. Regardless of the etiology, when ptosis obstructs vision, it is disabling. The appropriate management requires recognition of the underlying cause. This review article highlights the various aspects of ptosis evaluation and management. 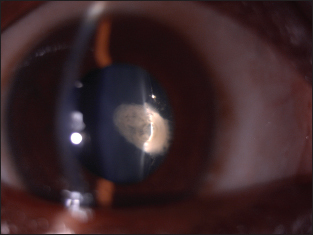 Optic disc oedema is a common clinical problem where the ophthalmologist plays an important role in the diagnosis, management. Many optic nerve diseases can cause disc oedema like papilloedema, papillitis, anterior ischaemic optic neuropathy, central retinal vein occlusion, optic nerve head drusen etc. 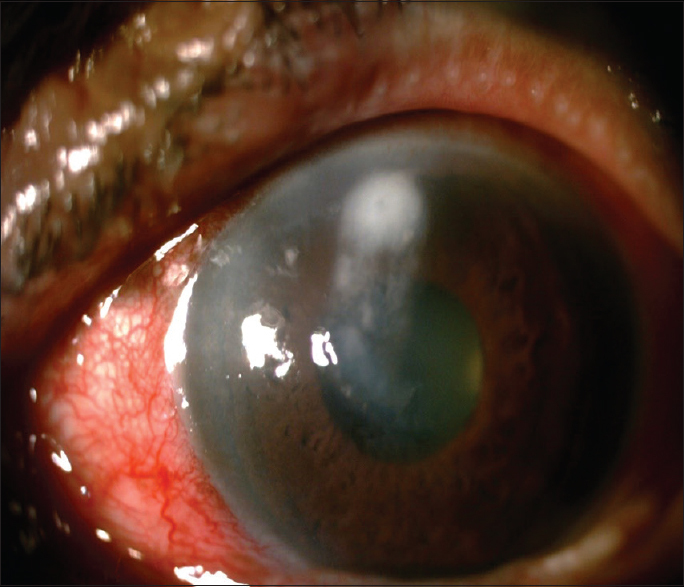 It is important to differentiate pseudoneuritis as in hypermetropia from true disc oedema. The clinical features, fundus examination sometimes may not give the correct diagnosis. 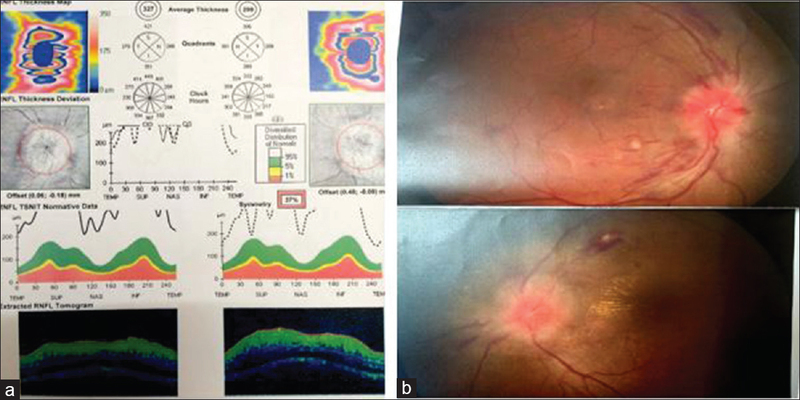 Fundus fluorescein angiogram helps to differentiate pseudo from true disc oedema. However it is an invasive procedure. With newer technologies like optical coherence tomography which helps to image the optic disc, it is possible to differentiate pseudo from true disc oedema, also to recognise the aetiology of disc oedema. In this review article we are highlighting the OCT findings in various causes of disc oedema. Objective: To study the pre operative profile and postoperative visual, quality of life outcomes and complications in pediatric eyes with multifocal intraocular lens implants. 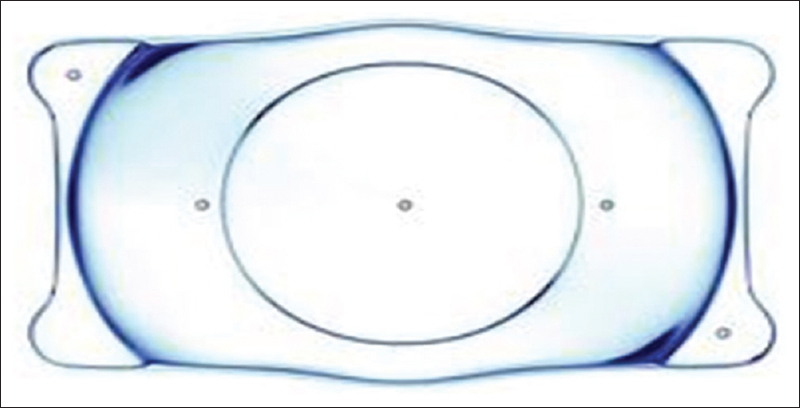 Methods: All children requiring primary or secondary intraocular lens implantation where the IOL could be placed in the capsular bag were assigned to this prospective study. 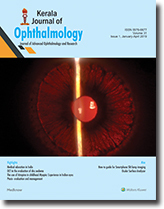 The cause for cataract, laterality, preoperative and postoperative corrected and uncorrected distance and near visual acuity, slit lamp observations, intraocular pressures, type of surgery, postoperative IOL positioning, intra and post operative complications and quality of life estimates were recorded. SPSS ver21 was used for data analysis and the outcomes were documented. 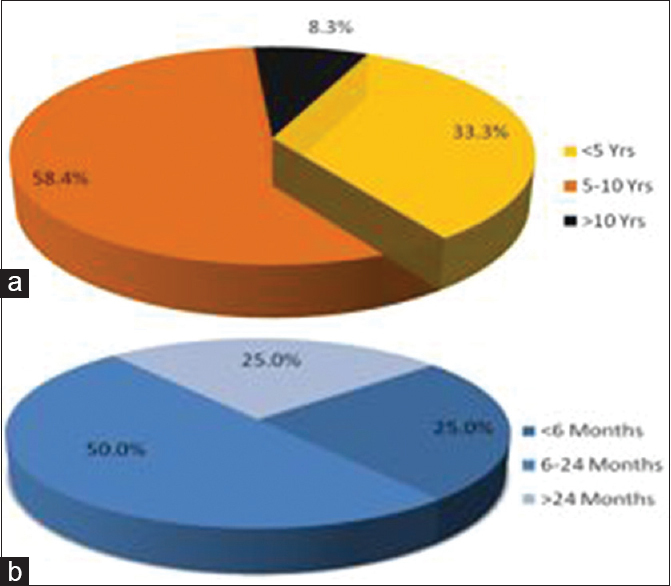 Results: 21 eyes of 14 pediatric patients were included in this study, 7 of them underwent bilateral surgery. The age range was 1 to 14 years. The logmar best corrected visual acuity for distance and near improved in 100% of eyes. The average corrected distant visual acuity was 0.3 (6/12p) and average near vision was 0.38 (N6-N8) without near addition. The average residual spherical power was 0.26DS and astigmatism was -0.22DC. 9 eyes had raised IOP immediate post procedure. The average IOP after 1 month was 13.71 mm of Hg. The quality of life questionnaire indicated satisfactory levels of performance at school and play. 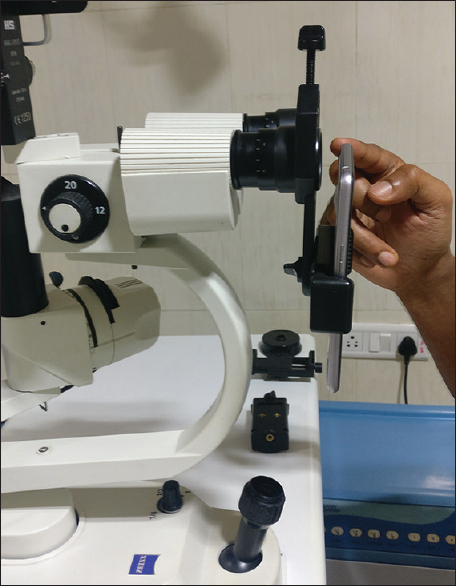 Conclusions: Multifocals IOLs are an effective and safe implant to impart instant near vision correction, thereby bypassing the need to wear or be compliant with bifocals, thus aiding in overcoming amblyogenic influences. The medial part of the orbital region is a complex structure of several facial bones. 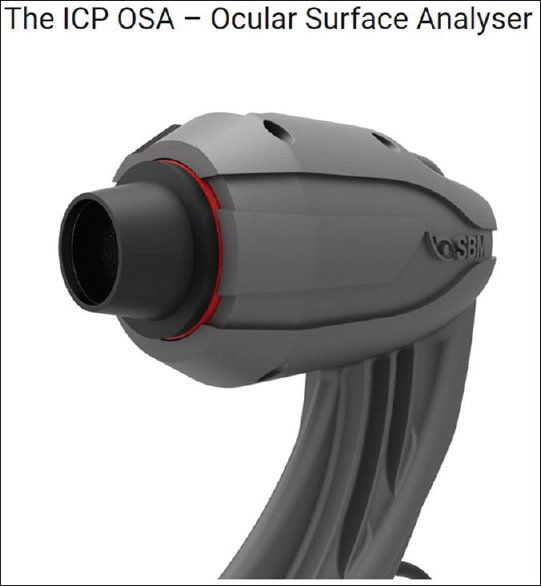 It has attachments for support of the eye and lacrimal collecting system. In that, medial canthus is an important structure for esthetic and functional reasons. Medial canthal deformities can result from nasoethmoidal trauma, cancer resection, craniofacial exposure, congenital malposition, or age-related change. Various techniques have been used for medial canthal reconstruction, specifically to achieve bony fixation of the medial canthal tendon. The surgical treatment of traumatic telecanthus remains one of the most challenging areas in facial reconstruction. Transnasal wiring has been one of the most commonly used methods to perform medial canthopexy. However, it is technically difficult and may cause damage to the contralateral orbital structures. 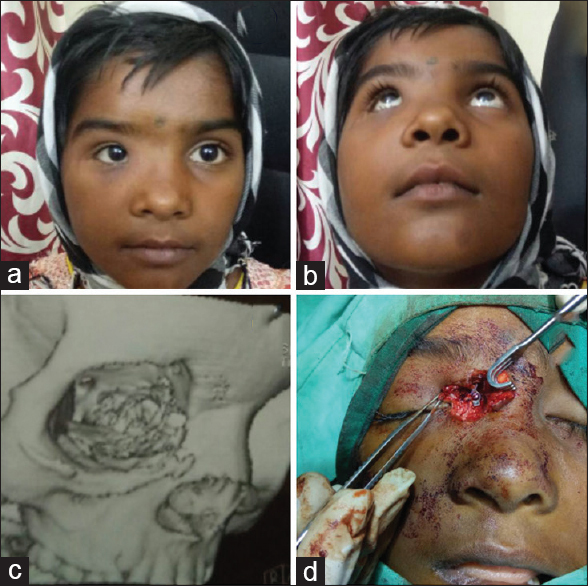 Here, we present a case report of management of traumatic telecanthus by medial canthopexy in an 11-year-old female patient using titanium miniplate. 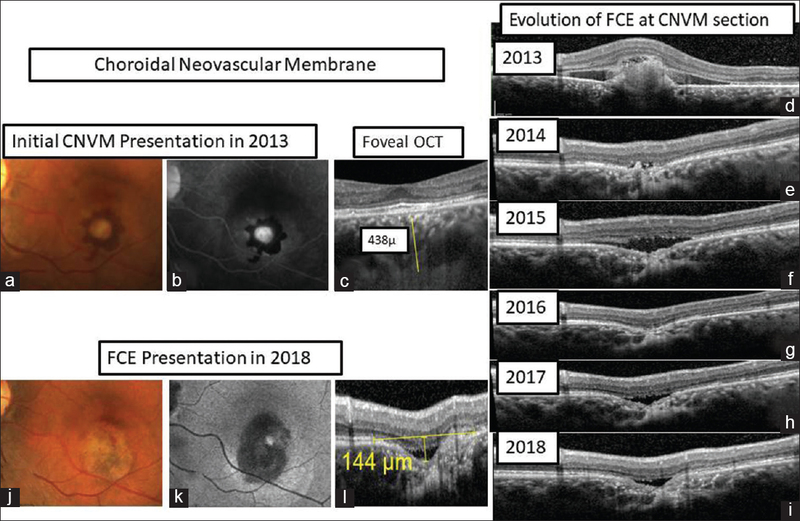 We report the imaging characteristics of focal choroidal excavation (FCE) and associated choroidal neovascular membrane (CNVM) and interpret the probable etiopathogenesis of FCE through findings detected by multimodal imaging. FCE was found as an acquired entity in our case subsequent to the treatment of CNVM. In addition, the association of FCE with pachychoroid spectrum is reaffirmed through this case.